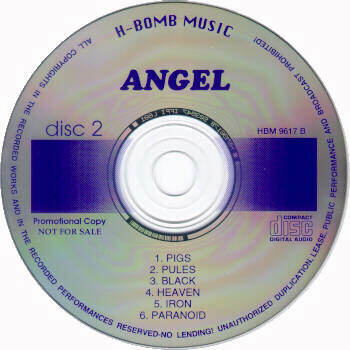 Comments: In my eyes one of the most exciting bootlegs of the Tony Martin era. 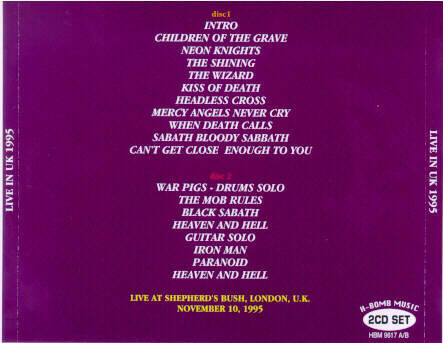 Due to the fact that I was on the concert where this boot was recorded I can say that this double CD gives the listener a real impression from this outstanding Black Sabbath show. 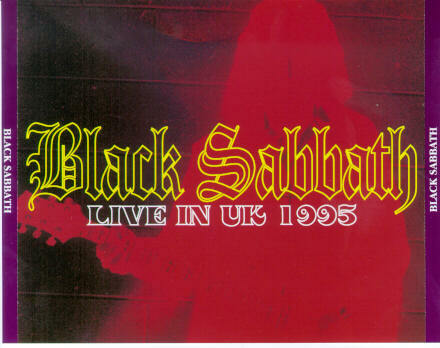 The sound quality is good as on a radio show and Sabbath were in best shape - it was the last gig of the european leg their "Forbidden World Tour 1995". Due to a record trader I have spoken in Paris about 2000 to 3000 copies were made. Supposed to be made in Japan. 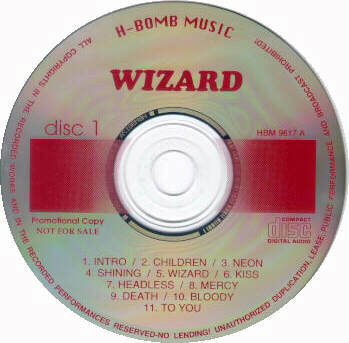 Released in 1996!